Gin brand Tanqueray No Ten is showcasing how to flavour gin with a contemporary flash infusion technique at a series of masterclasses in London. 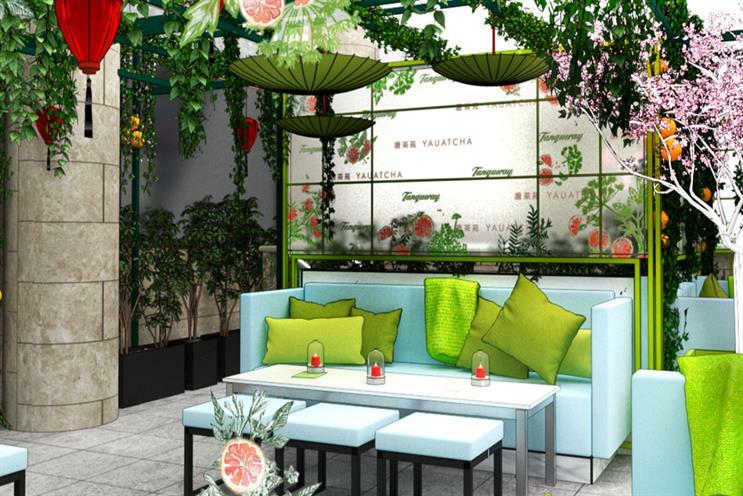 The masterclasses are being held in celebration of the launch of the Tanqueray Tea Garden, staged in partnership with Yauatcha City. It opened earlier this month, with the east terrace of the dim sum teahouse transformed into a floral Chinese tea garden, surrounded by a canopy of green foliage and decorated with red lanterns and glowing candles. The Tanqueray Tea Garden menu includes a selection of exclusive gin and teas created by Eder Neto, head of bar, and Alistair Reynolds, mixologist and Tanqueray ambassador. Inspired both by the range of teas available at Yauatcha and the historical Chinese tradition of enjoying tea with dim sum, the cocktail menu pairs Tanqueray No Ten gin, with its citrus and grapefruit flavours, with Chinese teas and craft tonics, created using the contemporary mixology method of flash infusion. A selection of dim sum is available to enjoy in the garden. The masterclasses are taking place on 26 May, 23 June and 14 July.